I travel often, and I also love music. With this in mind, a serious pair of headphones is an essential for me, so when I was asked to review Parrot's crazy advanced Zik 3 wireless headphones I was all over them. A kick arse brand that does amazing things? These could only be as damn near perfect as a set of cans could be. First up – because sometimes looks CAN be everything – these babies are seriously good looking. The French company (that’ll be why) the Zik’s striking design has been key to its popularity. 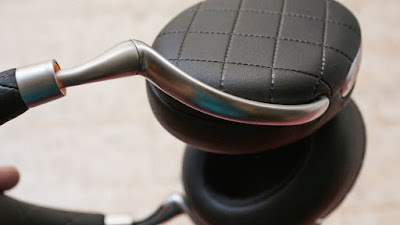 For the Parrot Zik 3, engineers have worked with designer Philippe Starck, and it shows. They offer a totally modern aesthetic with just a tinge of classic chic, along with plenty of padding for comfort. But let’s not let their good looks distract from their serious performance, which is equally as admirable. I absolutely fell in love with the fact that you can control volume levels and playback of audio using an ultra-intuitive touch panel found on the right side of the headphones. A tap on the ear cup will play or pause music, while a swipe up or down lowers volume. Alternatively, a swipe in either direction horizontally will skip through tracks. How awesome is that? The controls are super responsive though, so take a little getting used to. For the first few days of use I accidentally triggered the touch controls numerous times when I was trying to adjust the headphones’ position on my head, but once I got used to it this wasn’t a problem at all. Parrot has packed several wireless technologies into the Zik 3 headphones, including Qi wireless charging, NFC and Bluetooth. The Zik 3’s Bluetooth connection is so good that you feel comfortable leaving your phone in a bag or on your desk as you walk around, with an amazing distance able to be covered. To get the most out of your headphones you’ll need to use the Zik mobile app. Available forAndroid and iOS, the Parrot Zik app is where you go to view battery stats, enable or disable noise control, adjust the equalizer or download presets made by artists either for their own work or genres. 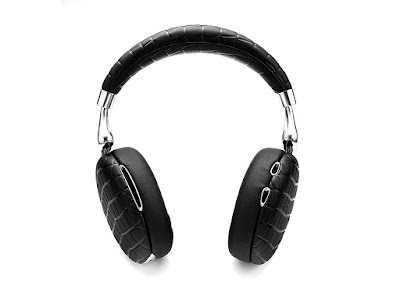 I love it and found it an absolute essential, maximising the headphones’ capabilities like you wouldn’t believe. I particularly loved the fact that you can extend battery life while travelling by connecting the Zik 3 to your smartphone using the included cable and enabling a feature Parrot calls “Flight mode” in the Zik app. Touch controls and Bluetooth are turned off when flight mode is enabled, but noise control is still active and designed specifically to block out plane babble. Parrot claims flight mode will provide 18 hours of battery life – which I haven’t tested as yet – but the aforementioned mode is flawless. I used it several times and could barely hear a thing, and am looking forward to taking them away with me again in a couple weeks’. Annoying chatterbox is 12B? No problem, and as for that screaming baby behind you? Didn’t know they were there. On the terribly practical side of things, the Zik 3's are super durable too. I have used them in shoots and on set and in the short time they have been alive, my pair have been well used and still look box fresh. If these sound like a bit of you then head here for stockists, they are a little pricey but come highly recommended.